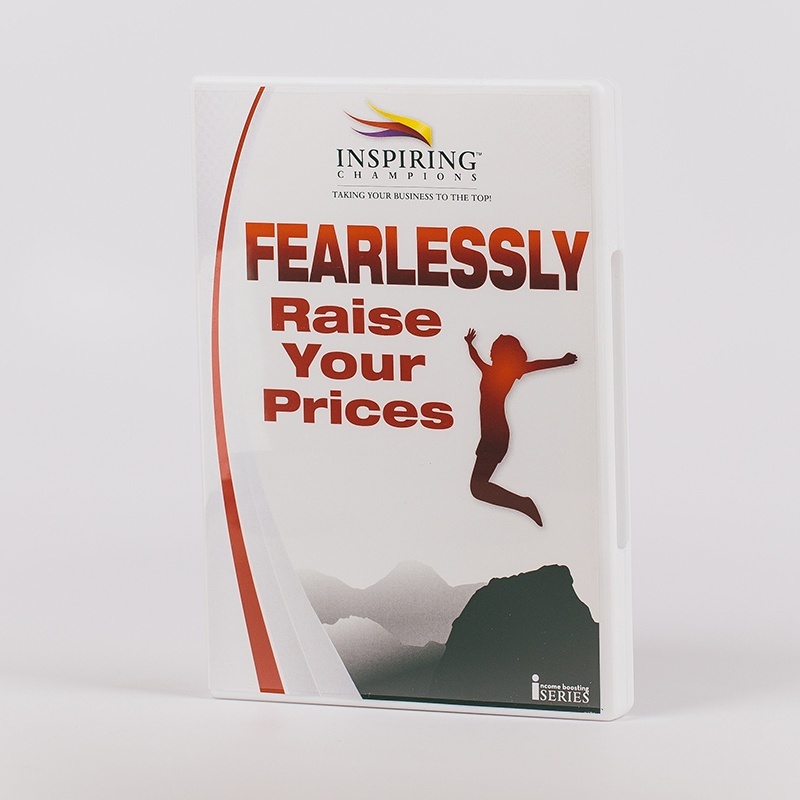 Raising Your Prices Without Fear is the best gift you could possibly give yourself. I took my six-year business from $50,000 to over $100,000 in just one year by applying this and other Inspiring Champions systems. Did you know that you should give yourself a raise when the demand for your services is greater than the supply? If you are booked consistently 80% or more over a two-month period it is time to raise your prices. Included in this program is our easy to follow tracking sheet for you to track and monitor your business. Once you have a good grasp of your business, we will work with you to recommend appropriate increases at the appropriate time in the appropriate places. Detailed procedures on how to raise your prices. A tracking program to know when to raise your prices and how to continually monitor them. Systems to quantify by how much to raise your prices. This program’s easy-to-follow format will map the route to your success. We will provide you with a whole new way of thinking and furnish you with a systematic approach to confidently Raise Your Prices Without Fear.